Condo association management companies can help your community in a number of ways. Thinking about outsourcing your management needs? Wondering about the potential benefits? Here is what your community can gain from professional condo association management services. The board of your condo association likely brings a lot of unique experience and information to the table, but working with condo association management companies helps to ensure that you actually get the experience you need. These management professionals have experience with financial management, administrative services, and on-site maintenance. They ensure that every aspect of your community is thriving and moving in the right direction. Clear rules and expectations are essential if you want your condo association to run smoothly. Condo association management companies understand relevant local and federal regulations, and they make sure the guidelines you create for your community are in line with established laws and industry standards. Because they’ve worked with multiple communities, these professionals also understand which guidelines are the most effective, and they know how to communicate policy changes to your board and to your community members. Finally, they understand the best ways for enforcing compliance and using protocols to strategically enhance your environment. When you have a group of condos, you need to keep common areas and outdoor spaces clean and in a state of good repair. Condo association management companies help to ensure that happens. They take a proactive approach that notices repair issues and starts to plan for them, long before they become essential. This method saves money in the long run because it prevents repair issues from getting out of control. At the same time, it also saves you time because the management company handles finding, vetting, overseeing, and even paying the maintenance teams. One of the biggest benefits of hiring a condo management company is lowering costs. By helping with upkeep, managing vendors, streamlining communication between your board and your residents, and by doing countless other tasks, these professionals help to reduce the time you have to devote to your community. They also help to lower operating costs, while keeping everything running smoothly. Additionally, when your condos are in a good state of repair, accidents and injuries become less likely, and that reduces liability risks for your association. Condo association management companies do work that enhances property values. When a community is a nice place to live, people want to live there. They sell their homes less often, and as a result, the condos become more coveted, helping to increase property values. Additionally, keeping up on repairs and maintaining shared spaces also helps to enhance property values. Finally, the work of these management companies helps to elevate the quality of living in your community. People want to live in beautiful, clean, orderly spaces, and we help to make that possible. To learn more, contact us directly. 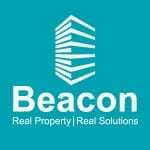 At Beacon Property Management services, we are one of Atlanta’s best condo association management companies, and we can help you make 2019 the best year ever.